In the first injection in a human being of macromolecules whose primary structure was developed from a religious text a French 16 year old named Adrien Locatelli describes how he paid Vector Builder $1300 to transcode verses from the Bible and the Koran into macromolecules and then injected one verse into each leg (the Bible verse was written into the DNA of an adeno-associated virus and injected into his left thigh; the Koran verse was encoded into DNA but not merged with a virus and was then injected into his right thigh). The Bible verse caused mild, local inflammation. The Koran verse did not. Locatelli called his effort a "symbol of peace between religions and science." His only relevant experience is a one-week internship with Advanced Biosciences in Grenoble. UCLA biochemist Sri Kosuri -- a DNA data-storage specialist -- expressed dismay at Locatelli's "experiment," calling it "unfortunate" and adding that "2018 can’t end soon enough." Locatelli told his father about the experiment, but has not yet told his mother. 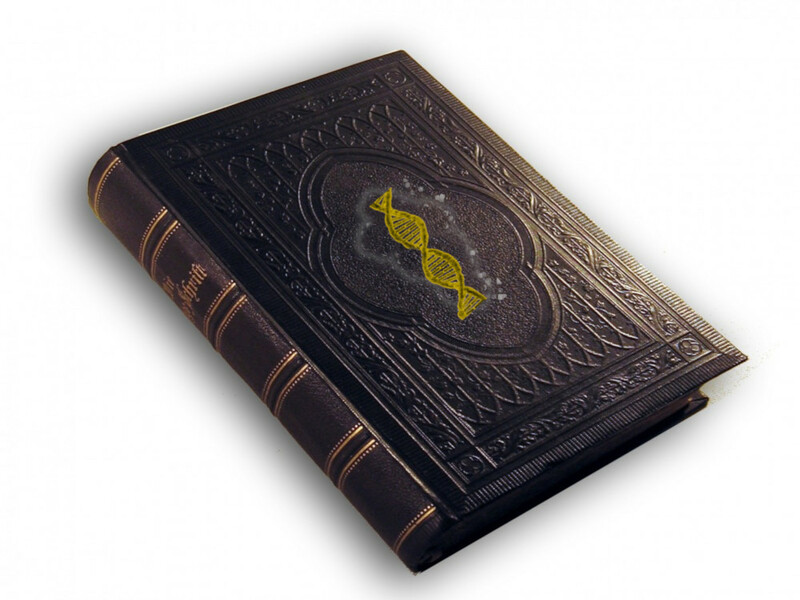 Locatelli said he matched various characters in the Hebrew alphabet to the nucleotides in order to produce a strand of DNA that corresponded to the first few verses of the Book of Genesis in the Bible. In his preprint paper he said that a similar technique was used to match individual letters in Arabic to translate the Quran to genetic code. Locatelli said he used a technique known as recombinant adeno-associated virus (rAAV) to write the Biblical genetic code into the DNA of a virus. The DNA containing the Quranic verse was injected as a protein without the viral vector.